You’ve just closed an Office document and accidentally clicked Don’t Save. Or maybe Word crashed or your laptop lost power before you remembered to save what you were working on. We’ve all felt that pain, but all is not necessarily lost. By default, Office applications automatically save temporary backup copies of your documents as you work and there’s a good chance you can recover them. We’re not talking here about when you’ve actually deleted a file in Windows, though there are ways you might recover from that kind of mishap as well. Also, you’d be well served to put some additional preventative measures in place before you actually run into this problem. 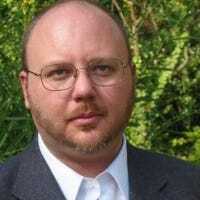 Back up your computer regularly and consider turning on the file version feature in in Windows. That said, if you do run into a problem with an unsaved Office file, here’s how to recover it. 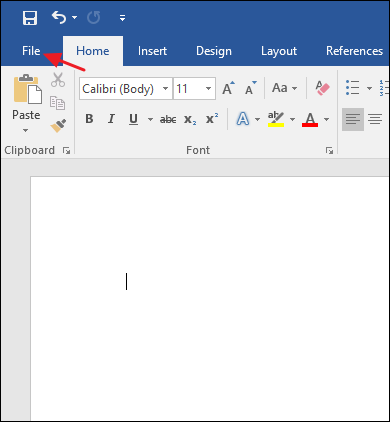 For these instructions, we’re working in Word 2016, but the steps are almost identical in other Office 2016 applications like Excel and PowerPoint. Also, the recovery feature has been around for a long time, so if you’re using an older version of Office (going back to at least Office 2007), you’ll still be able to attempt recovery. You might just have to hunt around a bit for the actual commands. 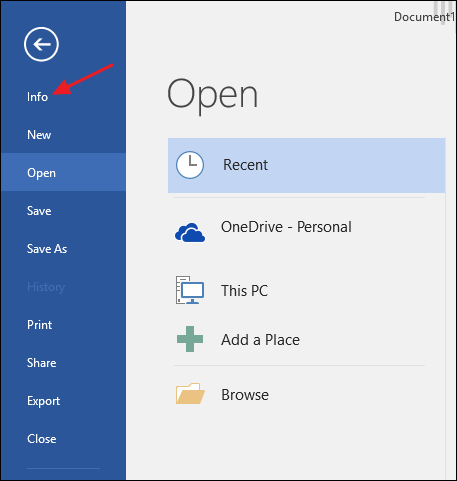 Start by opening whatever Office application you were working in where your file didn’t get saved. Click the File menu. 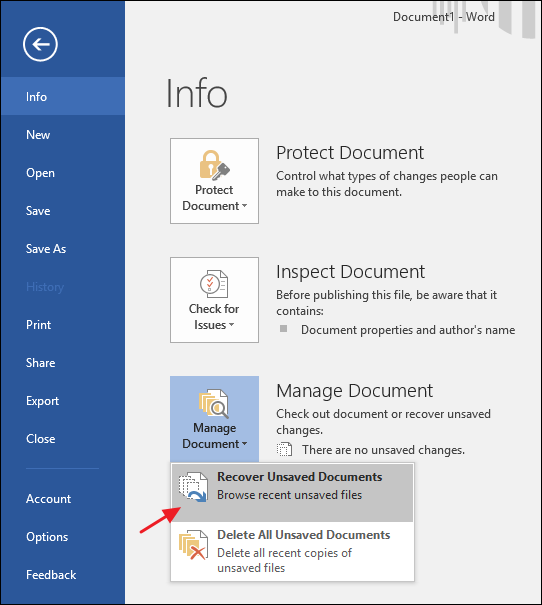 On the Info page, click “Manage Document” and then, from the drop-down menu, choose “Recover Unsaved Documents.” Note also that you have an option for deleting all unsaved documents should you want to do that. 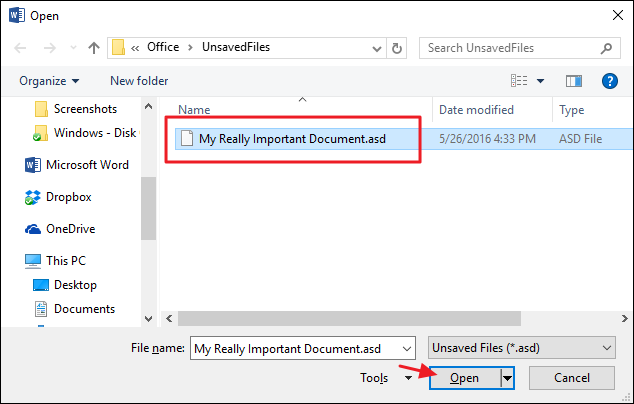 The UnsavedFiles folder contains all unsaved files Office has created temporary backups for. Select the file you need and then click Open. Office applications automatically save temporary backups of files at periodic intervals (every 10 minutes, by default), so your file should contain most of the work you lost. 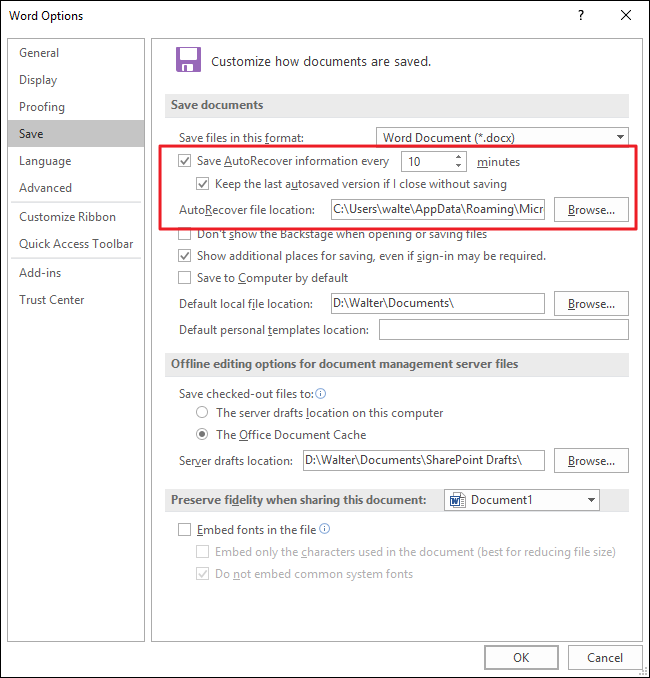 You can also change how each Office application saves these temporary files, including where the files are saved, how often they’re saved, and whether a temporary file is kept if you close a document without saving. Back on the File menu, click Options. On the Options page, click Save and then look for the “Save Documents” section. The top few options are what you’re looking for. If autosaving every 10 minutes seems like too long an interval (it does to us), bump that setting down to whatever you want. You can set it to autosave anywhere from every one minute to every 120 minutes. We’ve found that the background saving doesn’t really interrupt anything, so usually set it down to around two minutes. We recommend keeping the other two options at their default settings, unless you have a good reason to change them. And that’s about it! 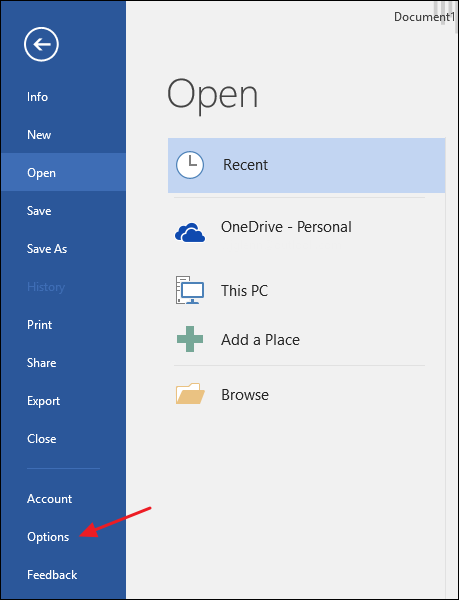 The Office recovery feature won’t save you from every kind of mishap you might run into with your files, but it can sure come in handy during those occasional moments of panic.